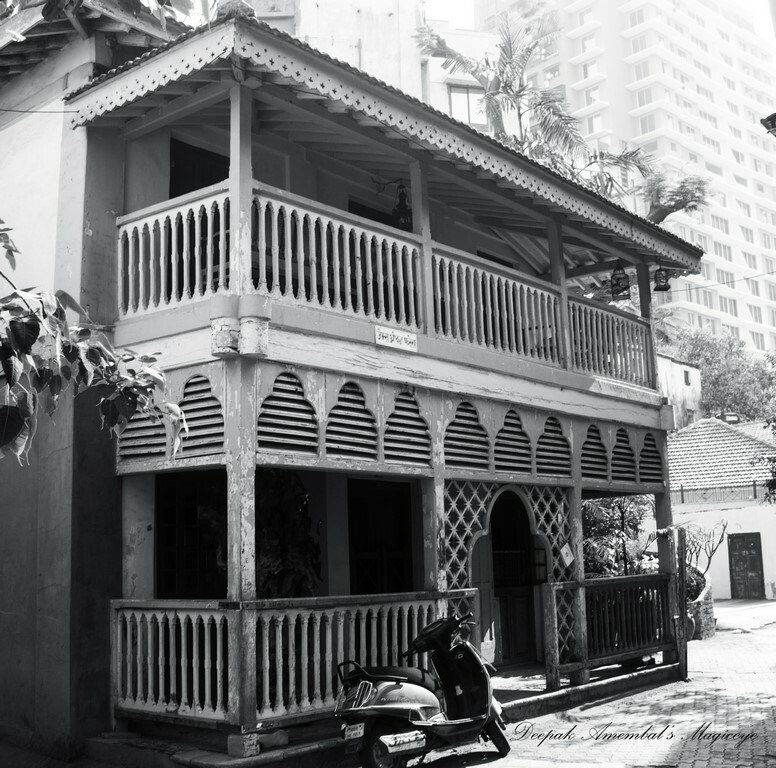 The house of one of the most celebrated residents of Khotachiwadi - James Ferreira, one of India's foremost fashion designer. Giving nostalgic feelings. Nicely taken. Beautiful building. Perfect in black and white. It is quite elegant and that elegance is brought out in your b&w vision!